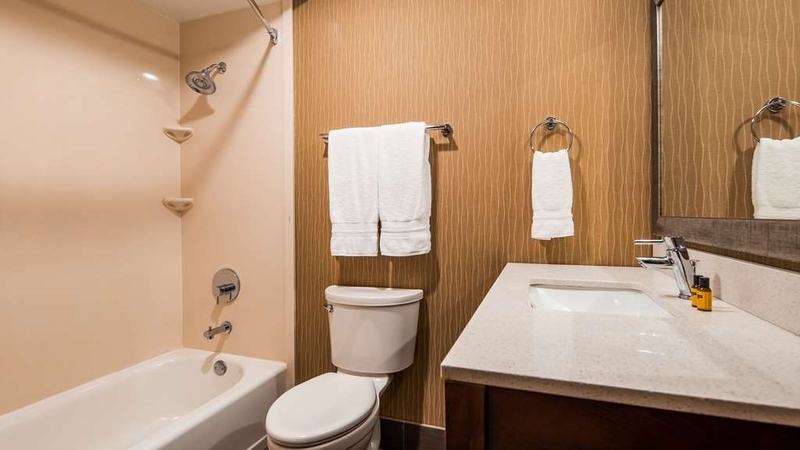 The Best Western Plus Portland Airport Hotel & Suites is ideally located in the center of Portland. Come and experience our hotel near the major tourist attractions. Best price guaranteed and exclusive deals. 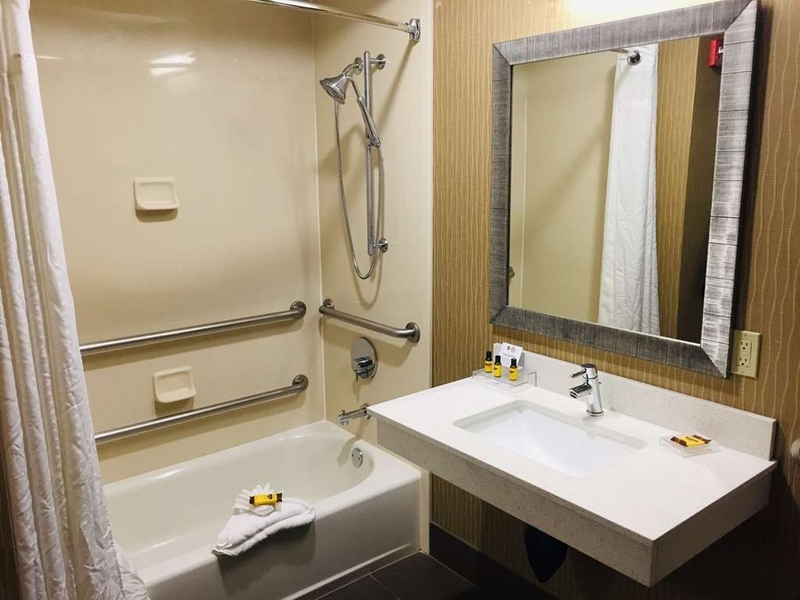 The Best Western Plus Portland Airport Hotel & Suites is a newly renovated hotel conveniently located near Portland International Airport. Shuttle service available 4 a. m. to 12:30 a. m. to and from Portland International Airport, great for business travelers. Need to go shopping? 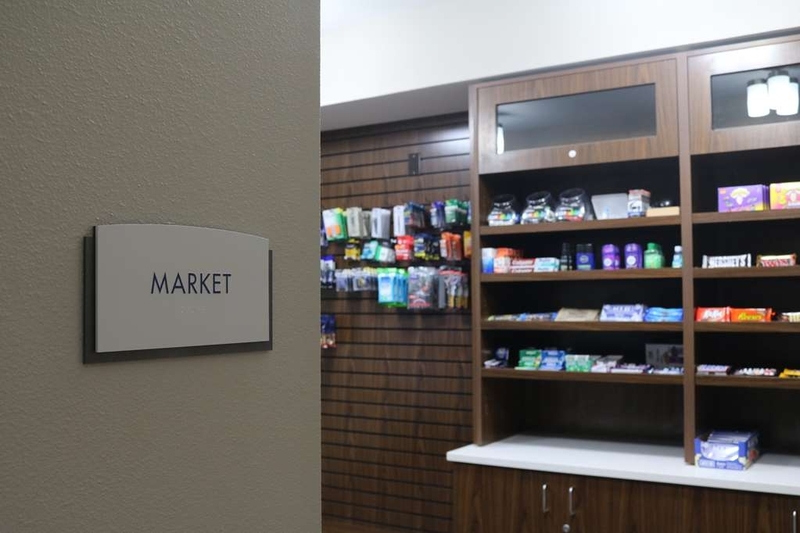 We can also take you to Cascade Station Shopping Center to take care of any of your shopping needs or to grab a bite to eat. You can also hop on the MAX Red Line and head into Portland City Center from Cascade Station. 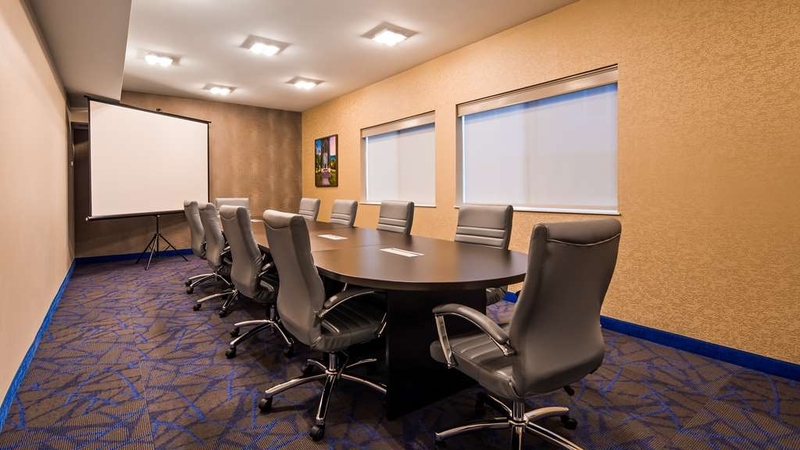 Business travelers visiting Portland, Oregon appreciate our hotel's 24-hour Business Center, which offers a convenient place to finish paperwork or to email clients. Be sure to take advantage of the copy, print and fax services, too. 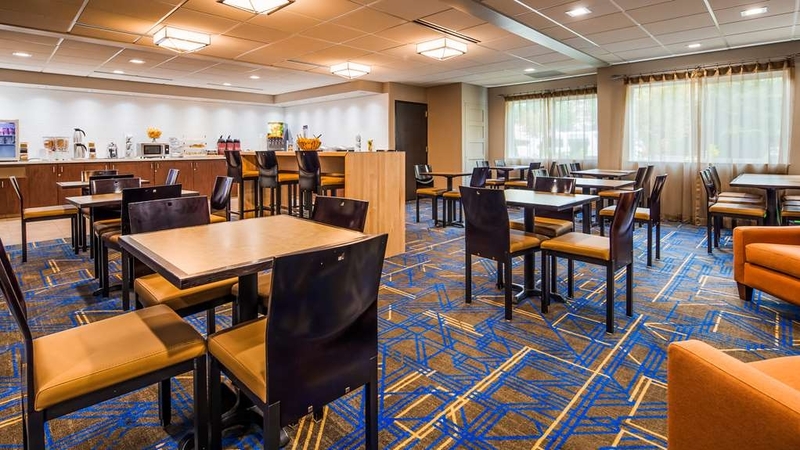 In addition, we also offer free Internet access throughout the hotel, and we are located near businesses like Fiserv Solutions and Johnstone Supply. Our friendly staff is available 24 hours a day and we are happy to provide recommendations on great restaurants, sites to see, excellent Portland microbreweries and local attractions. 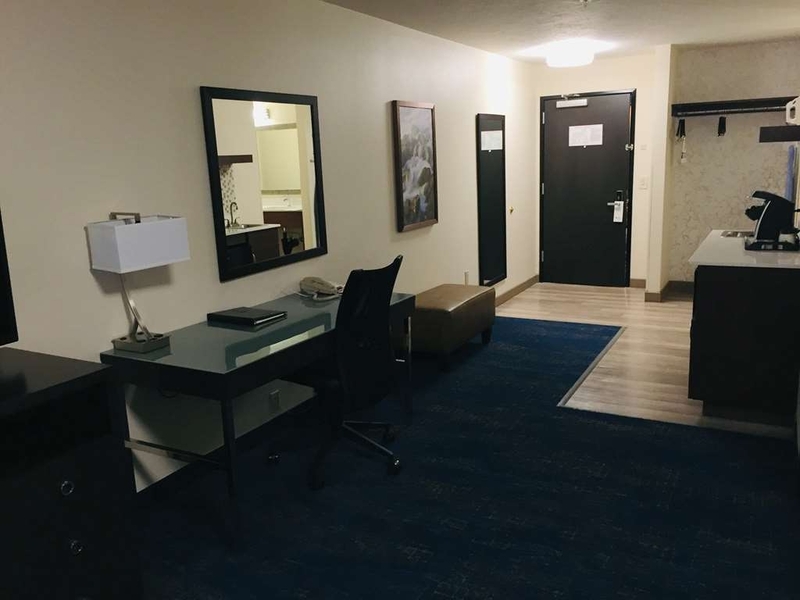 If you're staying with us while on vacation, you'll be thrilled to know that we're just minutes from downtown Portland, the Rose Garden Coliseum/Moda Center and the dramatic Columbia River Gorge. Traveling with kids? Everybody's sure to enjoy the sights and sounds of the Oregon Zoo, located in the heart of Portland, Oregon. 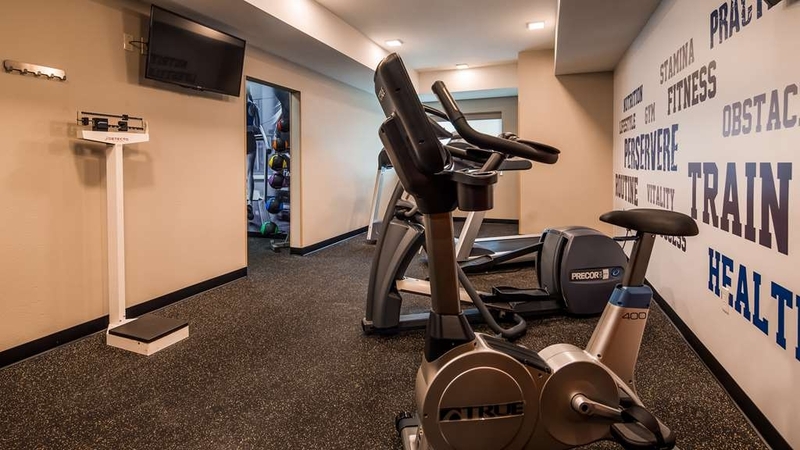 Stay fit with our well-equipped, 24-hour fitness center. 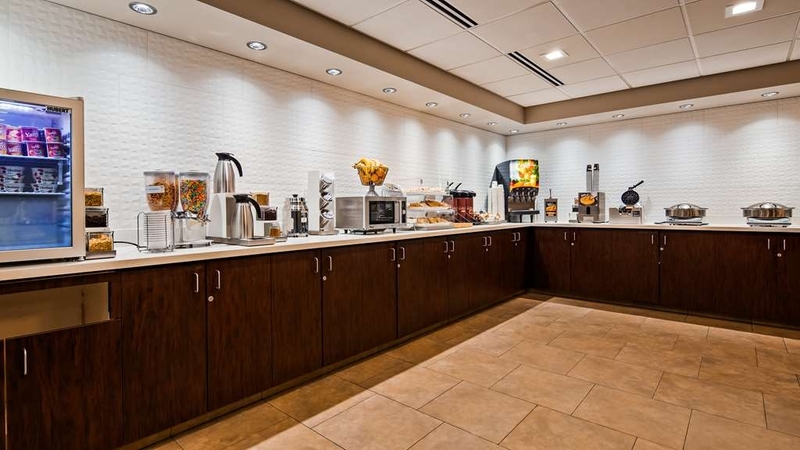 We go beyond other Portland International Airport hotels and serve a complimentary, full hot breakfast bar each morning. "Cheaper but had all the ammenities"
The hotel was a little cheaper, but had a good pool, hot tub, the breakfast was out of this world. The hotel staff were so friendly and went out of their way. The rooms were clean, air conditioner worked and liked that we could open up the window. Room was cleaned everyday. Staff was approchable. We used the hot tub and pool which is average size and was nice that adults were allowed to use it after 11pm. Clean, quiet even though near the airport, ample parking. Easy to find and right near a Dutch Bros coffee. Satisfying breakfast and helpful staff, made more eggs when they were out. Very comfortable beds. Clean, efficent, cheap,worth the money and beds where clean, the whole room was clean. Bathroom was nice and the check in and out was awesome too. Brandon is a great guy and heather worked everything out for us. 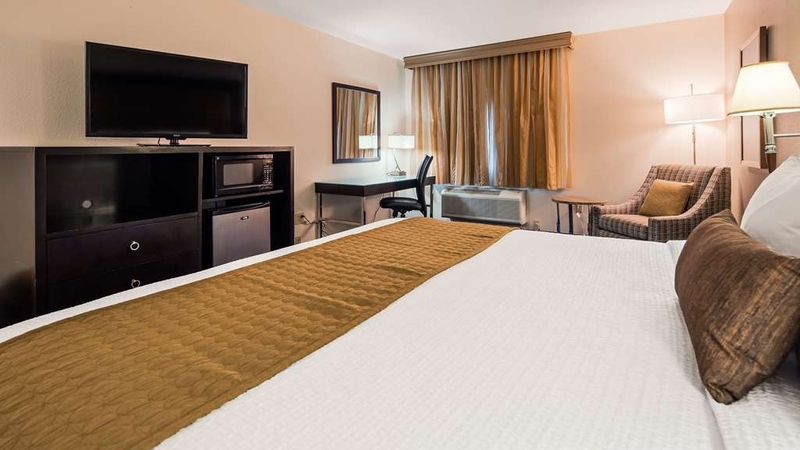 It is only about five minutes from the airport and conveniently located off I205. The lobby is small, but pleasant. 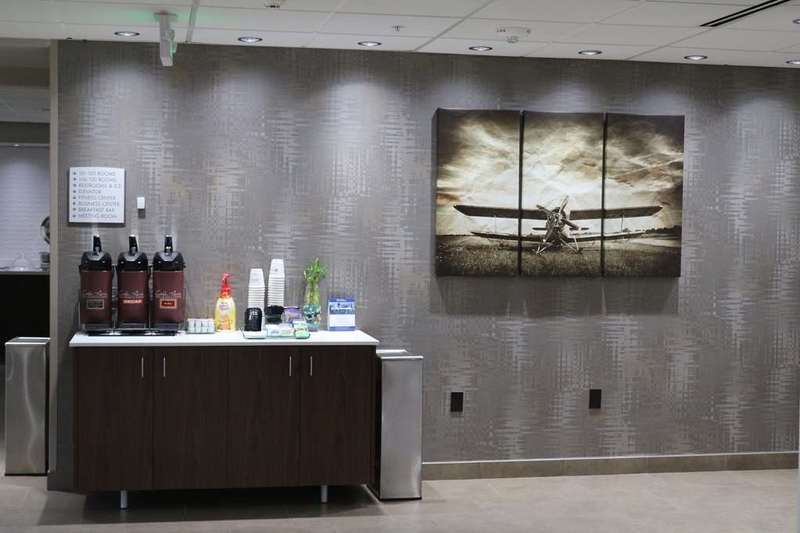 The breakfast area is in a room adjacent to the lobby. We stayed twice on one trip. Both rooms were very clean and quiet. One room on the ground floor was handicapped and very spacious. The other on the second floor was a bit smaller, but just fine. The breakfast had a lot of choices , all good. Service was excellent in the hotel. Thank you for your review Gary, we hope you come see us again. 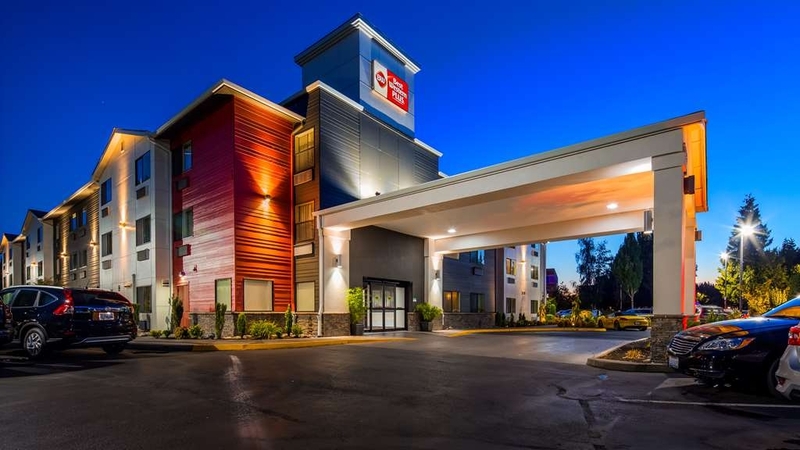 We loved our stay at the Best Western Plus near the Portland airport! We only wish we could have stayed longer than one night it was so beautiful. We will definitely be staying there again. The rooms were lovely, the staff was very friendly, and the beds were comfortable. Thank you! Our mistake! We got dropped off by Yellow Cab at this Best Western. Wrong one. Our fault. But when we asked for a shuttle over, they said no. When the Best Western we were booked in just up the .road here at PDX asked them, they again said no. 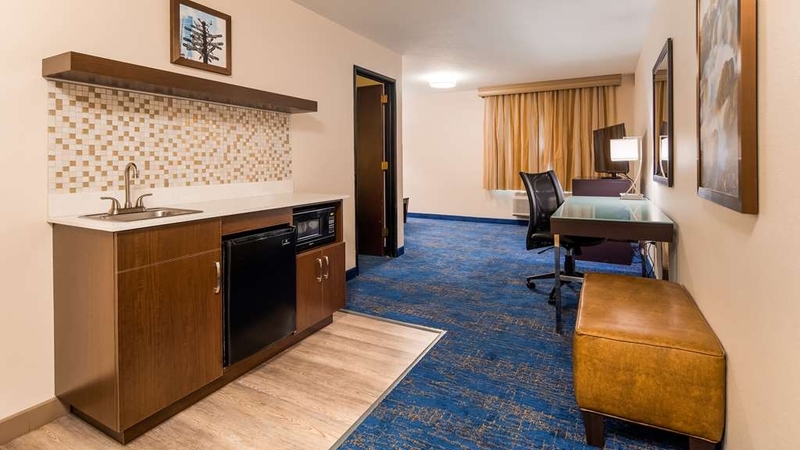 Even the other Best Western desk said they were very disappointed by this Best Western Plus. Could represent other similar responses to other travelers problems. It's not that we don't care, we had one driver between several of our properties last night who was very busy. If the driver would have been slow it may have been a different story as we have taken people out of the way to the Pony Solider before. Usually when we can't take Pony Solider's guests they happily come get their guests without issue. I apologize that we could not accommodate you and the other hotel made an issue of the whole situation. Reserving the rooms was a relatively simple and effecient process. 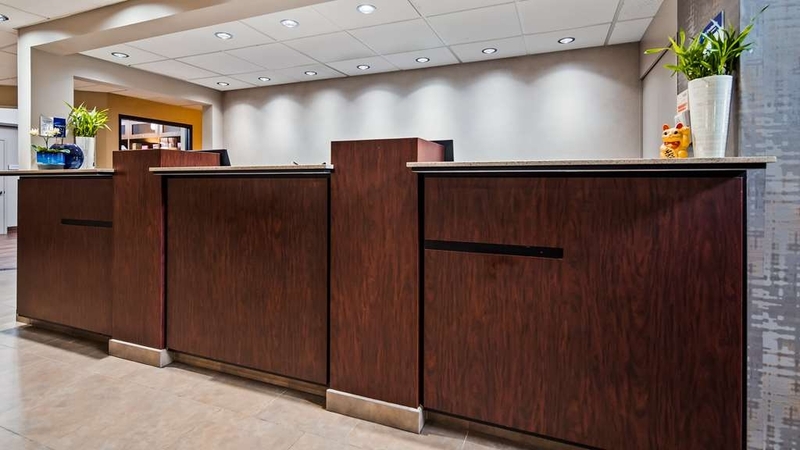 The folks at the front desk were obviously experienced and knowledgeable, and were very pleasant and polite. The motel internet was easy to access. Our flight left early the nexy morning, so the shuttle service was very valuable and on-time. There was enough variety in the breakfast to keep us happy. Thank you Michael for the great review, we are glad you enjoyed your stay. We hope you come see us again next time your in Portland. "One night stay before flying"
Spent a comfortable night in a one bedroom suite. Hotel/room clean and staff friendly. No problems. They offer a flat rate of $75 to leave your vehicle up to 14 days. Breakfast is fine; typical of hotel breakfast. The hotel is geared to travelers. Enjoyed watching military jets pass over in the morning. There is some air traffic noise since you are at an airport! Thank you for the review, we greatly appreciate your feedback. Hope to see you again. 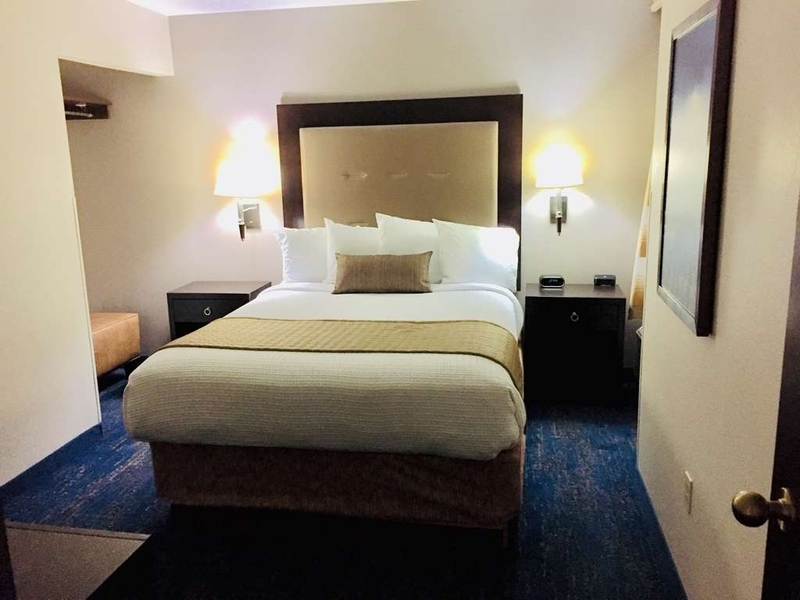 "Early morning flight - ask for room away from road"
Due to "snowpocolypse" in all of western washington in February 2019 we thought it was best to get a room the night before our flight. We had read on TA from other travelers to ask for a room away from the main road. We did so and the room was very quiet and we slept well. The check in staff was very nice and we got our room keys right away. The bathroom was very spacious and clean. The room had a small refrigerator and a microwave and a coffee pot. They offered a shuttle to the airport, however I cannot speak to it because we didn't need it. We would definitely book here again since it was a reasonable rate and service was great. Thank you for the great review, we hope you come stay with us again. I would highly recommend this hotel. Clean rooms and nice help. we will be staying here again. I enjoyed being close to the airport and being shuttled back and forth so we did not have to worry about parking. Thank you so much for the great review, we will see you next time!! Thank you Dave for the great review, we hope to see you next time your in Portland, Oregon. My husband and I stayed the weekend when we came to visit our daughter. Staff was very nice. Room was large and the hotel was quiet at night, which we appreciated. Would highly recommend this Best Western. Great rate too! Thank you for the great review, we appreciate the kind words. We hope to see you next time you come to visit. Clean, helpful staff, and very convenient. Will use again when needed. Parking was about 60% of cost for long term airport parking. Shuttle was ready to go at 4:30 a.m., as requested. Rate was quite moderate for so close to the airport. Thank you so much Jeremy for the great review, we hope to see you next stay. "Great clean hotel and easy to get to"
This is a great place to stay. Close to the highways and airport. 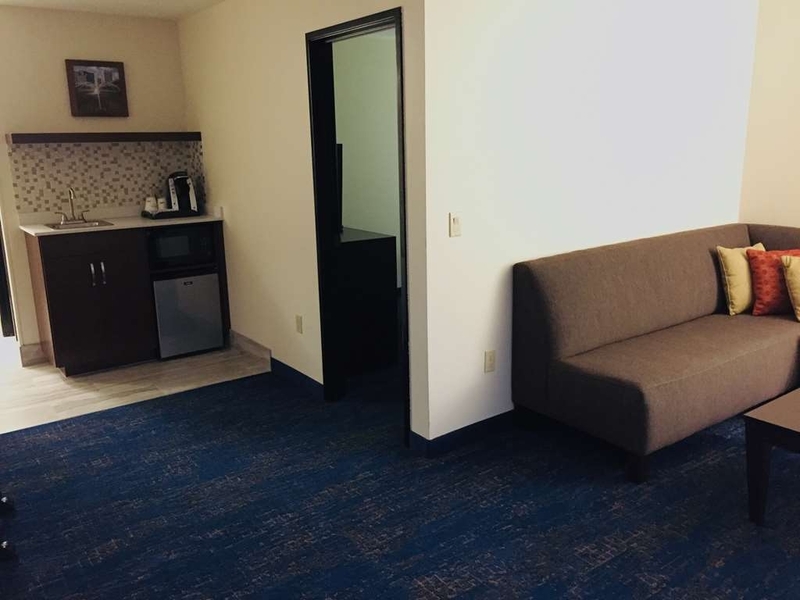 It's very reasonably priced, clean and updated and very comfortable rooms. Breakfast is simple but offers all you need. The staff is super nice. Thank you for the great review we really appreciate it. We hope you come back and stay with us again next time your in Portland, Oregon. We needed to be at tge airport at 4am due to government shutdown & slow tsa lines. So choose to stay & start the vaca early! Nice entry, nice desk agent. Coffee & tea 24/7. Breakfast in am but after we leave. Will grab yogurt, fruit, coffee. Worked out to get tired to sleep. Room is tidy, clean, will report on bed comfort tomorrow. $99 plus tax. Thank you for the great review, we hope to see you next time your in Portland. "Very pleasant stay once again!" I had been to this BW Plus before. Glad to know that the customer service and quality of the rooms were still the same! I stayed in 114 which was away from the street traffic.The guest attendants from the front desk to house keeping were very courteous and friendly.I will continue to stay at this BW Plus! Thank you so much for the great review, we were glad to have you back and look forward to seeing you again. 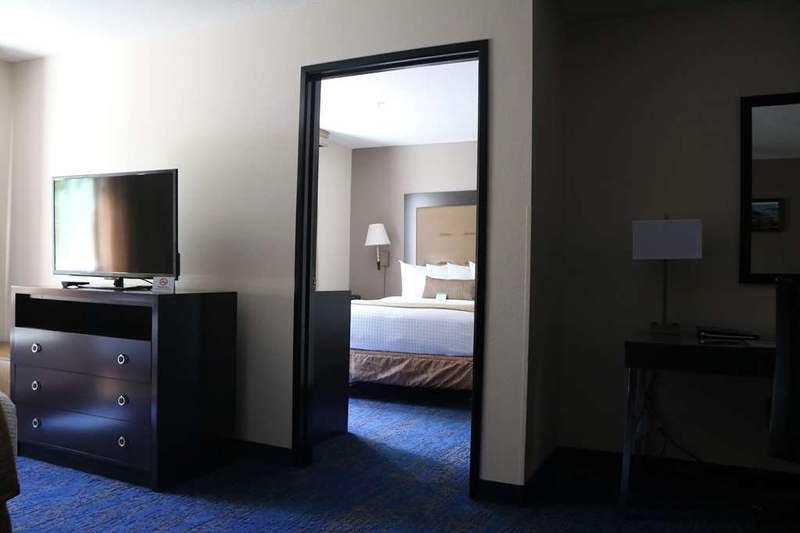 The hotel is conveniently located close to the airport, restaurants and shuttle service to the airport. Parking is cheaper than PDX economy. 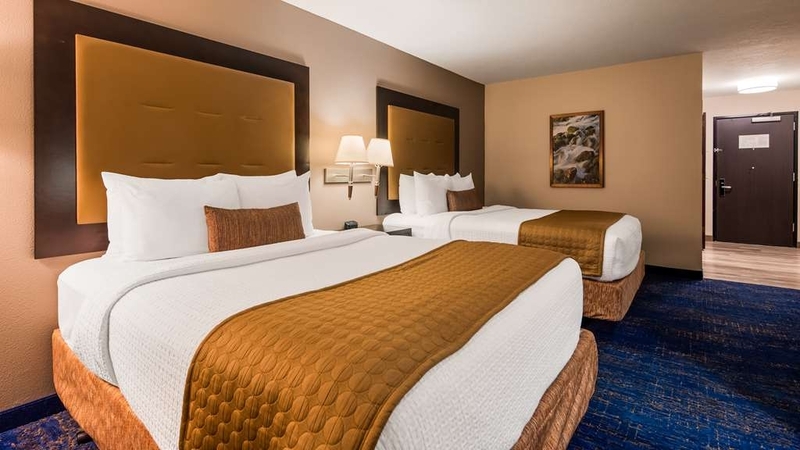 The rooms are updated, clean and the king beds are the best! Not rock hard and I have never slept so well in a hotel, far better than the $300 a night. Staff are friendly and helpful. They have cold breakfast before 6am and hot after 6am. I will always stay here when in Portland. Thank you so much for the great review, we appreciate it and are so glad you enjoyed your stay. Easy to find. Quick checkin. Quick Check out. Comfortable rooms. Good water pressure on shower. Good breakfast. All employees encountered were very friendly. Even though in flight path of air planes from Portland International Airport, we were not disturbed by the sounds inside the hotel. Thank you Lonnie for the great review, we enjoyed having you here. Thank you for the great review, we are glad your vehicle was alright when you returned we had been keeping an eye on it. We hope you come stay with us again. "DEC 18 trip to socal"
This was our first stay here and we'll be definitley be coming back. Easy access to the airport is great, plus they have a shuttle if needed. We found the staff to be very professional and helpfull. Breakfast was great too! Hello Guy, I see that you scored us a 1 but had great things to say, so I will assume you made a mistake when you scored us and loved us! :) Thank you for the kind words and we will see you next time. We stayed here while in town for a concert, only one night. I needed a key left for my son and his girlfriend who would be arriving later than my daughter and I did, AND needed an extra-late checkout, two hours past the standard. The hotel was very gracious in accommodating both requests, as well as allowing us to leave one vehicle in their lot so we didn't have to drive both to the concert venue. 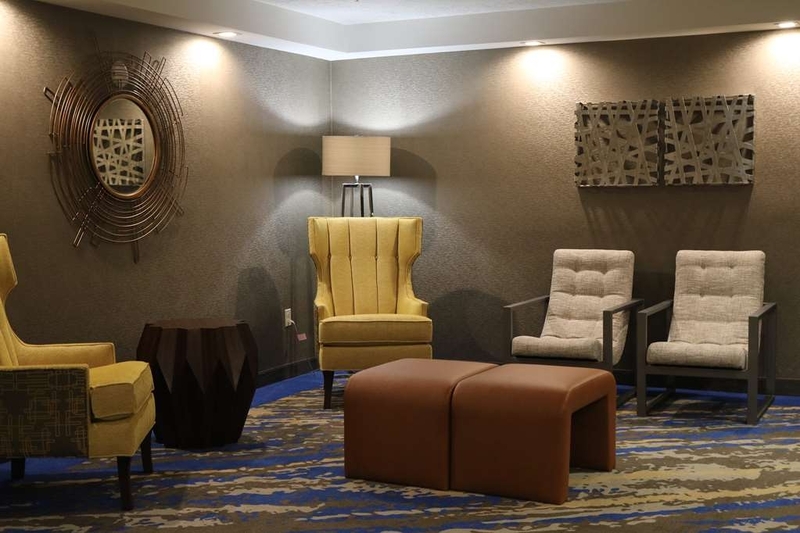 Hotel was clean, VERY quiet, and tastefully decorated, relatively speaking, recognizing it IS a commercial space and there are limitations. 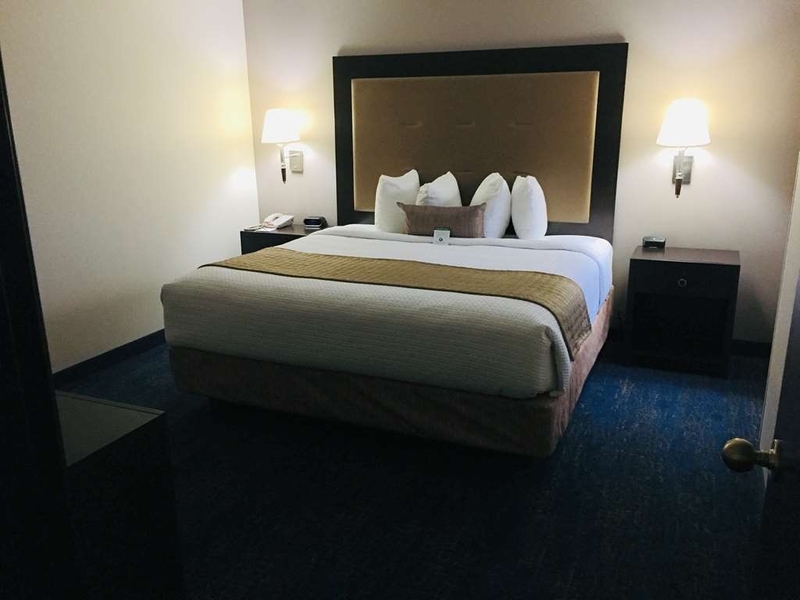 I found the bed a bit too soft, but all the kids said they were great, LOL!Price was awesome, staff warm and polite.The only bummer is that there is no pool/hot tub! Thank you Michelle for the kind review, we are so glad you enjoyed your stay while attending your concert. 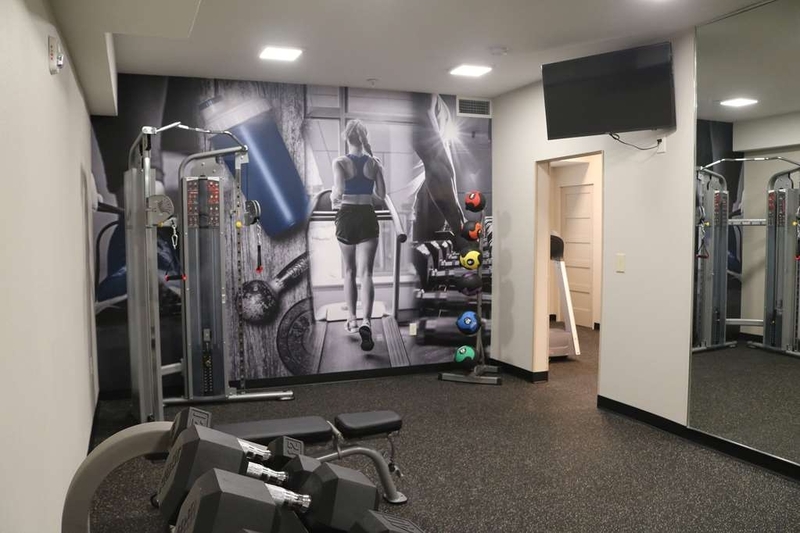 We are sad we don't have a pool either but try to make up for it with a super great and friendly staff and an oversized fitness room. We hope you come see us again soon. it's easy to find, the hotel stands out, fast check in. friendly staff .room was great, good breakfast. was kind of surprised that i had nothing to nitpick about the experience at all. check out was also easy. Thank you very much Blair, we are so glad you had a great stay and hope you come back and see us again. 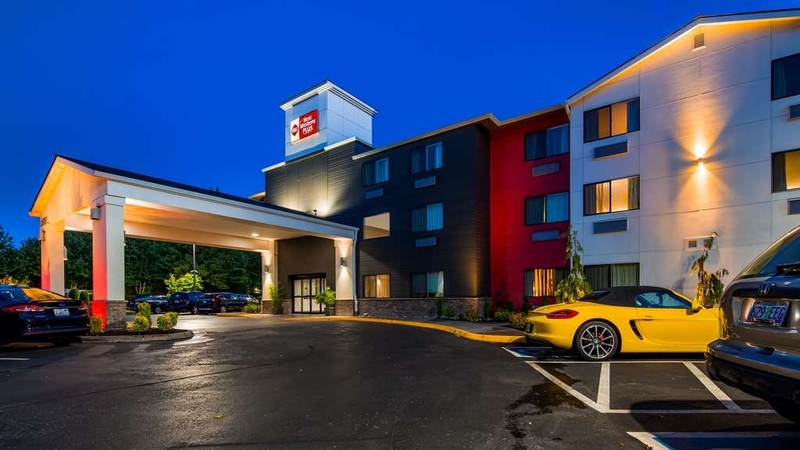 I have stayed at other Best Western Hotels in Portland and this one was very clean and the staff was very nice upon arrival. 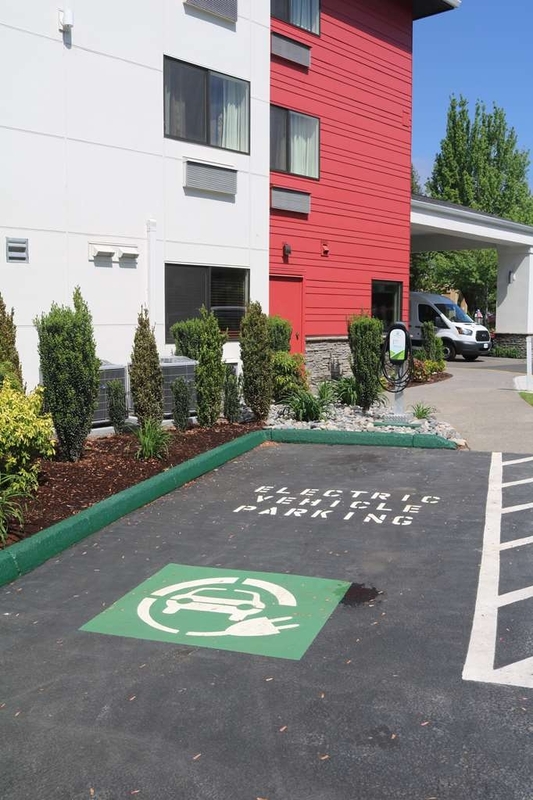 The hotel looked clean inside and out and very close to the Portland Airport. I would definitely stay here again. The breakfast was average, but the kitchen staff were very nice. This is the nicest BW hotel I have stayed in. 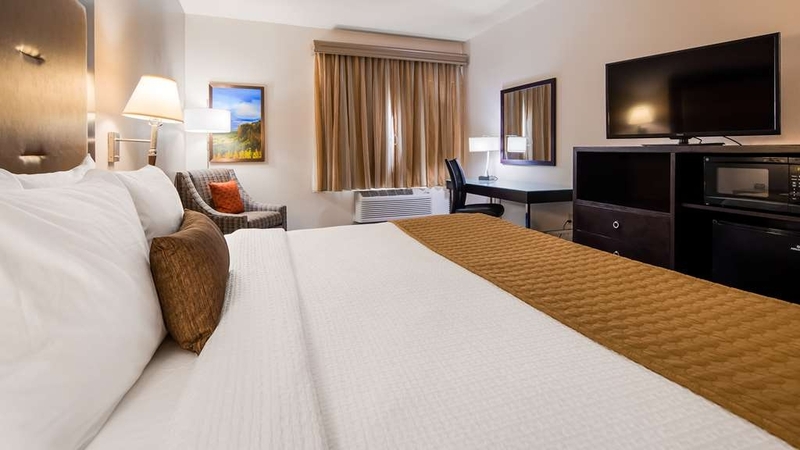 Convenient to the airport, free parking and good breakfast made it a great value. Also handy is the free shuttle to nearby shopping and airport are added perks. Everyone was helpful, friendly, and professional. I would definitely stay there again. Thank you so much, we greatly appreciate the kind words and hope to see you again soon. Had a king room that a friend reserved for us on the way to the coast. Our stay was lovely. We were on the first floor right off the front desk and we had a quiet, restful night. King bed was very soft! Thank you, we are glad you enjoyed your stay and hope you come see us again! The hotel looks like it was recently renovated and the rooms are nice and clean. It is located near the airport and they provide an shuttle to the airport which operates to midnight. We arrived at 1100 PM so it was very convenient that they were able to shuttle us to the hotel and after we checked in drop us off to a nearby restaurant. The customer service we received at the front desk was outstanding and I would definitely stay here again on a future trip. Thank you for the kind words, we loved having you and look forward to seeing you on that next trip to Portland. "Perfect for our short trip"
We couldn't be happier with our stay. The hotel was down the road from the airport and ended up being the perfect location for us. We were 25 minutes away from the scenic side of town with nature and waterfalls and 25 minutes away from downtown. We were able to explore both sides of town thanks to the central location of this hotel. Thank you Teresa for the great review and we are so glad you enjoyed your stay. We hope to see you next time you come visit Portland, Oregon. Staff friendly. Room was clean and beds comfortable. Breakfast was the typical selection and all was good. Shuttle service was very good. Location was close drive to airport and a quiet area. We would stay again. Thank you so much for the review, we enjoyed having you stay with us and hope to see you next time you are in the Portland area. "Clean, Quiet and Recently Updated"
The hotel appeared to have been recently updated so everything looked brand new. We had a nice size room. The bathroom was a little roomier and bigger than what we normally see in the Best Westerns. The bed was one of the more comfortable hotel beds I have slept in lately. The place was very quiet. 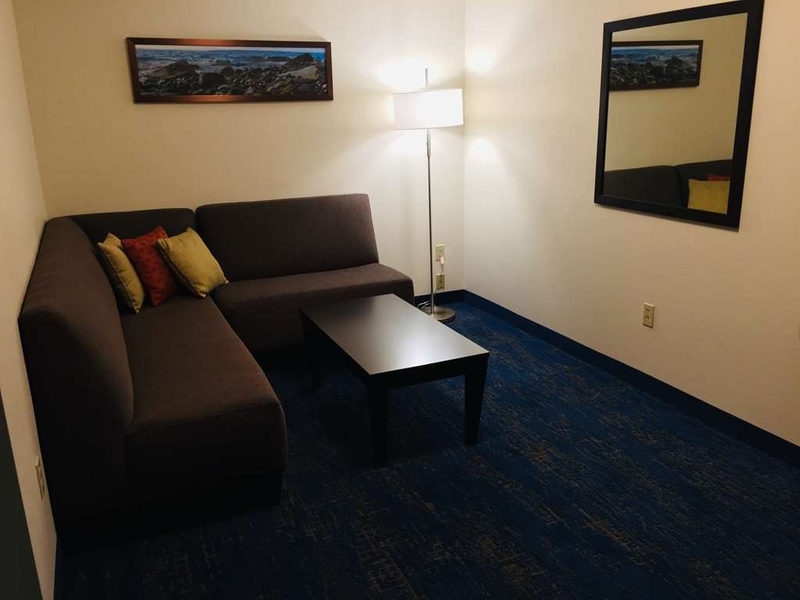 The location is handy right off of I-205 and a short distance from the airport. I would have given it 5 stars except for two things. 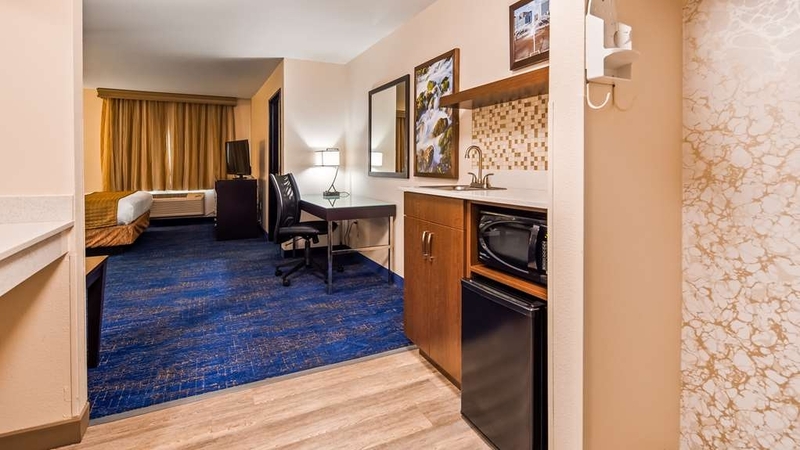 This particular Best Western is more expensive than the others in the area. I didn't see anything that made it worth the extra money. The breakfast was nice but just standard Best Western offering. For the extra money I had hoped they would have had a few extra things on the menu. From this Best Western we went to Lincoln City and stayed in a Best Western right on the beach in a suite for less money. The hotel in Lincoln City had biscuits and gravy and offered two types of eggs at every breakfast. For the extra money charged, this Best Western could have benefitted. We will stay here again in the future, but only if the Pony Soldier Inn Best Western is full. Serious housekeeping and staff issues at the lovely, newly renovated hotel. No one was at the desk upon arrival. Room given was unmade. Next one was dirty. Food service well below other Best Westerns. We are very sorry for the housekeeping issues that happened, we are better than that. The issue has been addressed with my staff and you were issued the Best Western Rewards points that the front desk said would be issued to you. Again I am very sorry what you had to deal with, it was unacceptable and will not happen again to anyone. Employees went above and beyond to provide little touches that made the stay more pleasant.Boarding passes, bag tags printed. Shuttle service made rental car return easier, and navigating seamless. Made the stay better. 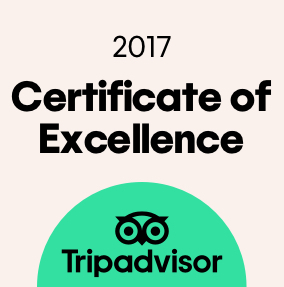 Thank you, we are here to help make your stay a pleasant one. We hope to see you next time. I travel for a living. I literally live in hotels, 7 days a week in all 50 states. I never write reviews. I don't need luxury but cleanliness and being up to date is key to me. I was very impressed with this hotel. Super clean. It felt new. 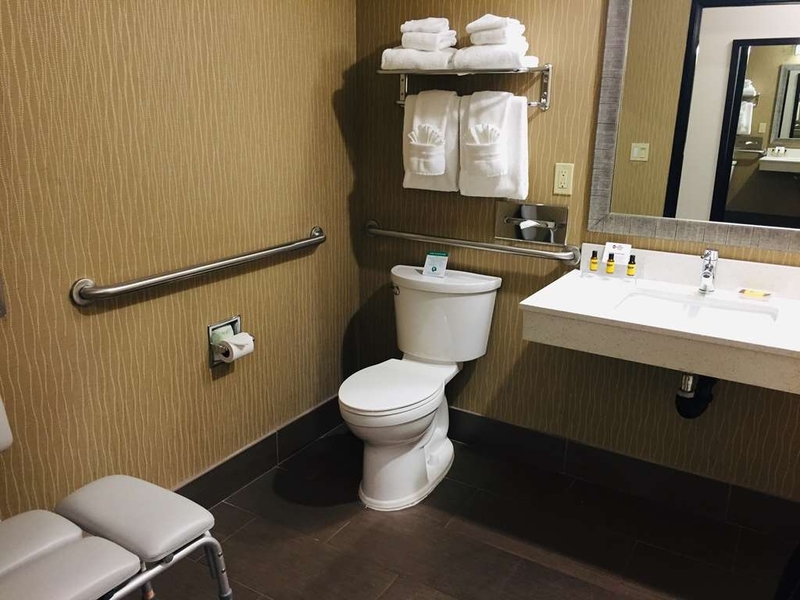 All the little things matter like a smooth up to date key card system and a quiet,efficient air conditioner, and CLEANLINESS! Very nice. 5 stars for the price. I would like to shake the managers hand. Thank you so much Jason, I greatly appreciate your kind words about the hotel, we have worked hard to make every guests stay enjoyable. I hope we see you next time. 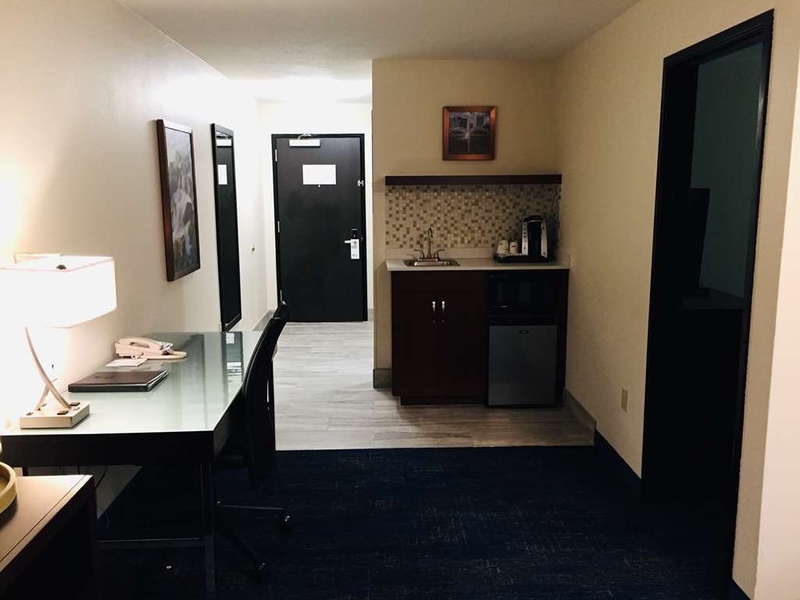 "Cozy stay, and Brienne at the front desk rocks"
My family and I stayed for one night at the Best Western Plus, and we couldn't have asked for a better experience. The bright light proved to be Brienne at the front desk. Working long hours at a hotel desk may not be everyone's cup of tea, but Brienne sure brings the charm and a hospitality. She greeted us late at night with a big smile and good cheer. She deserves lots of credit for making us feel at home and comfortable. The room was just what we needed, and we enjoyed the breakfast in the morning, which featured lots of options for the adults and our picky child. We'll be back! Thank you for the positive feedback and especially about Brianne, she has been a great addition to our team. We look forward to seeing you next trip to Portland, OR. We stayed in this hotel after having an issue with our rental car. We were stranded at the airport with no transportation in the middle of the night, and the hotel had a room at a reasonable rate. The property is beautiful and modern, and the breakfast was delicious! Glad you enjoyed your stay, we hope to see you next time you are in town. 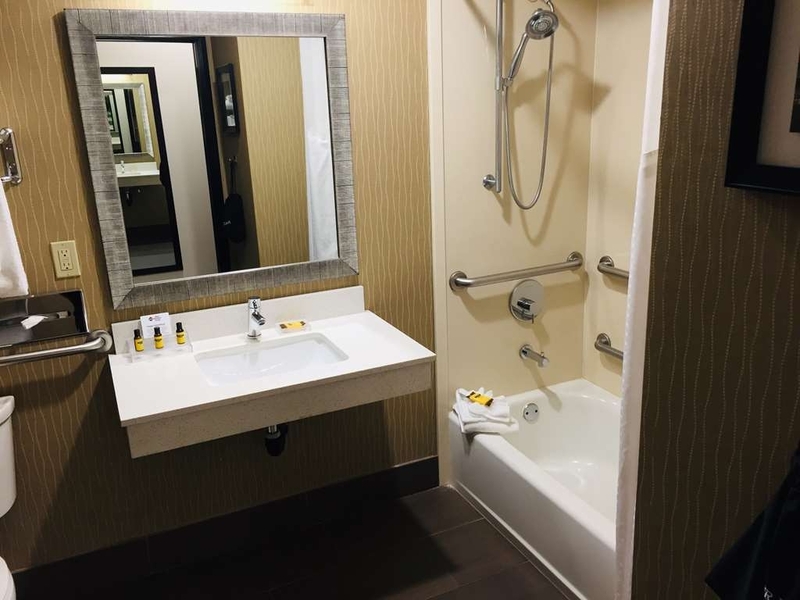 "last night before flying home"
Thank you for your review and your feedback on the bathroom light, we will be looking in to the lighting issue. "last night of vacation, flying out"
Everything seemed very newly renovated. All staff were very helpful and pleasant. Room was nice, bed was great. Bathroom light switch is absurd: Half is always on, so made sleeping difficult and other half turned on over head lights upon entry, even during the more of the night. Thank you Mr. Marks and I will have our maintenance guy look into that light it shouldn't have done that, we apologize. 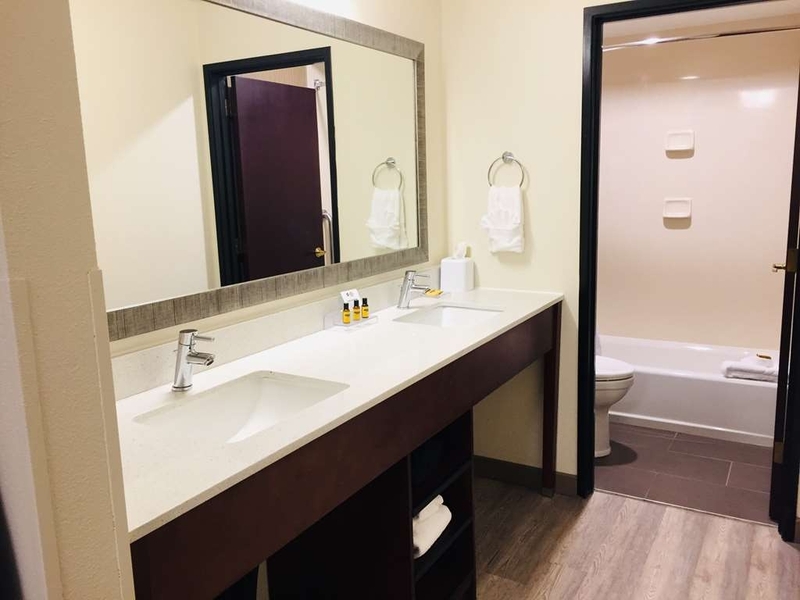 "Very nice and great staff"
The hotel is clean with one of the biggest bathrooms i have seen in a room. It was quiet and the beds nice. The staff is fantastic. The breakfast was very tasty and the area was kept clean with the food plentiful and hot. Thank you so much, I will make sure and pass this great review on to my staff. I hope we see you next time you are in the Portland, OR area. "Another great stay at BW"
Arrived earlier than expected and was given a room without delay. Staff was friendly & professional. No problems with the internet. Overall appearance of hotel was well kept. Room was clean and the bed was soft. We appreciate the great review, hope to see you next time you are in the area. Nice hotel, very clean. The staff was lovely- one young lady, when we were checking in, asked about our travels, and seemed very interested- she wasn't asking out of politeness alone. A young man at the desk the next morning helped me out with my FitBit (the straps were breaking), too. 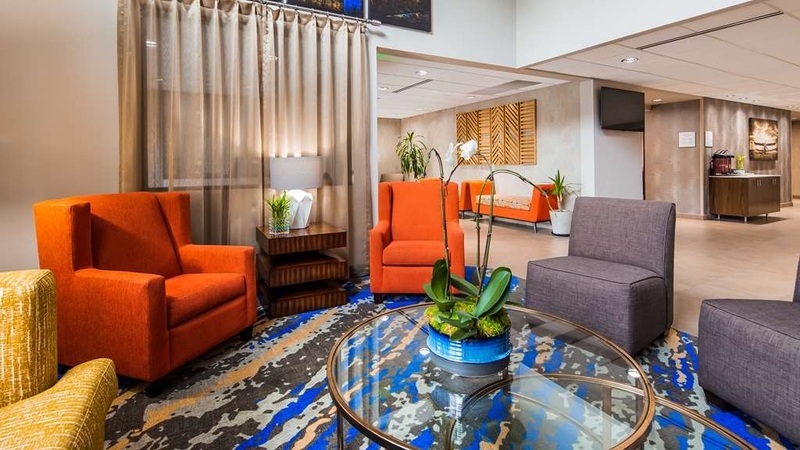 "Could not have asked for a better stay!" Last minute, i needed a comfortable hotel/motel room for two nights. Knew I'd have to be able to work there (I create content for a website) and be able to get some rest. 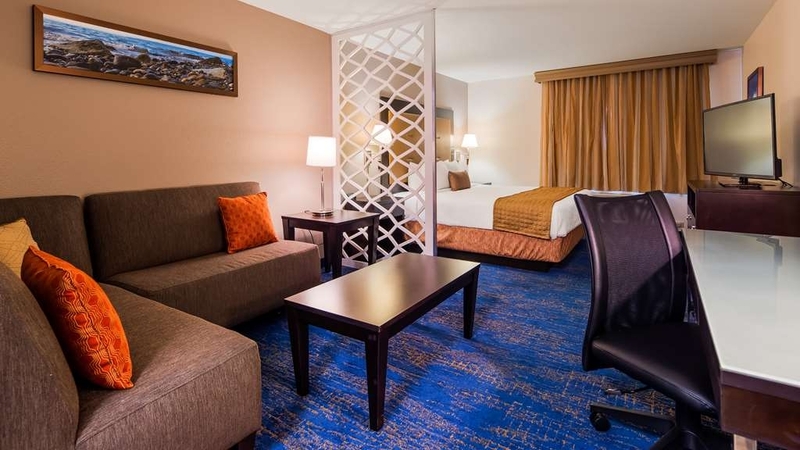 Have relied on Best Western in the past, and they did not let me down. This newly renovated facility, close to the airport and yet so easy to get to, gave me all I needed, including my own compact kitchen area plus an evening buffet downstairs. Lovely layout including a separate bedroom, a great work table/desk and a well-lit lounge area with sofa at a remarkably affordable rate. Got my work done, took care of some other chores, slept great, and all in air-conditioned splendor. Wonderful housecleaning staff, and great staff overall. I would heartily recommend this place to anyone. We are so glad we were able to help make your time in Portland, Oregon enjoyable. If you come back and stay again we have our evening managers reception every Wednesday evening. We had a family room and it was spacious, clean, and comfortable. The entire hotel was very well taken care of and the staff was very friendly. The proximity to the airport is also a major plus. Great hotel. Thank you so much for the kind review, we enjoyed having you here and hope to see you next time you are in Portland. "Perfect for one night in Portland"
Stayed here on the way to California from Calgary. Easy to find off I 82. Near the airport but noise not a concern. Hotel was clean and staff very friendly. Easy parking. Several restaurants near by, (walking distance) plus hotel has a shuttle if you want to go further for more options. The manager had a Happy Hour near the Lobby from 5-7pm with complimentary appetizers and wine or beer which was very welcoming and we met several other guests to chat with. Would stay here again if in the area. Thank you so much for the review, I hope we see you next time your in the Portland area. Arrived at the hotel after fighting traffic and the heat, wanting to relax, and no rooms were ready. This was 2 to 3 hours after check-in time. So had to find something to do and wait! No apology when we did come back to check in. 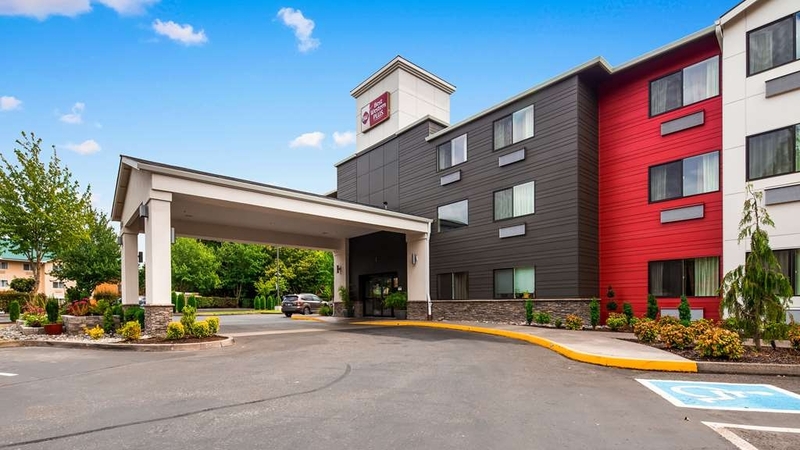 "Reccomend the very comfortable hotel for overnight stay"
Thank you Raymond for the excellent review, we hope to see you on your next trip through Portland, Oregon. The early morning breakfast and shuttle service was great. Not very many hotels will have the breakfast room ready at 4 in the morning. The rooms are large and clean and very inviting. Staff was very friendly. Would definitely stay again. Thank you Jack! We appreciate the great review and look forward to seeing you next time. I almost cancelled my reservations when I was notified by IMG that this property was no longer a Holiday Inn Express. I am glad that we stayed here - it was a pleasant hotel - the lobby has a very nice appearance and it is easy to see that the property was recently renovated. The room was very nice and modern looking. 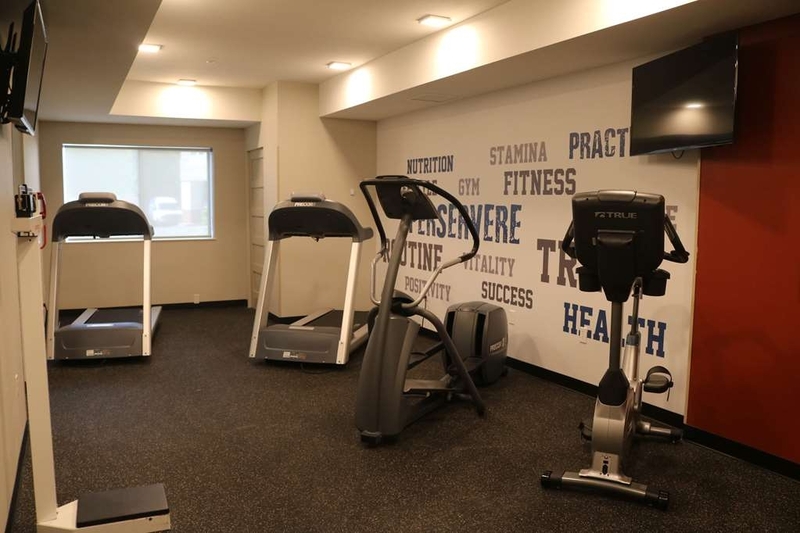 The only complaints were that we could hear the people in the room above us as they walked around, which is unusual in a modern hotel building, and that the air conditioning unit did not seem to be able to keep the room very cool. Fortunately, the day/night were not too warm, so it all worked out. We enjoyed the breakfast, but wished for a little higher quality food, such as nicer yogurt and some additional fresh fruit. Overall, we would definitely stay here again the next time we are in Portland. "Friendly service and comfortable accommodations"
Upon check-in we found chocolate chip cookies waiting for new arrivals, just like another of our favorite hotel chains. 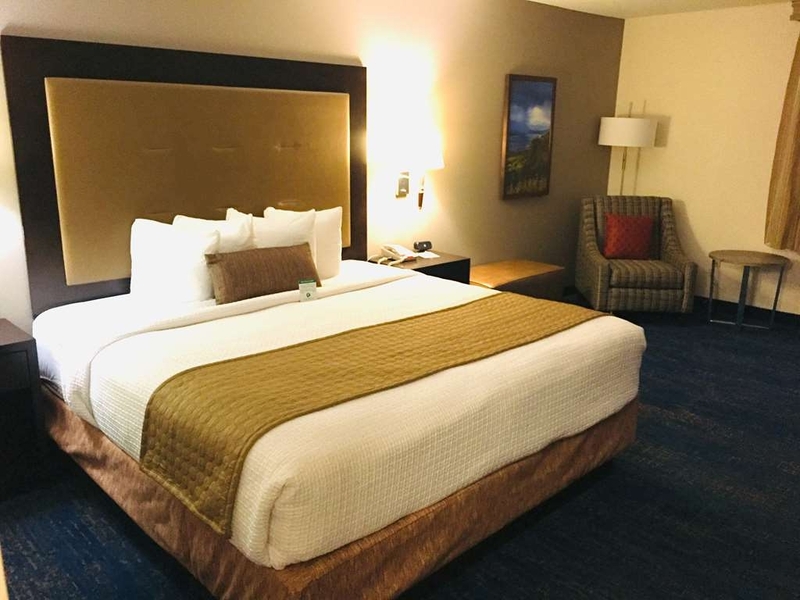 Staff at the front desk were friendly and welcoming, the room was large, clean, and comfortable, and the dining area nicer and more spacious than at many other moderately priced hotels where we've stayed. A free hot breakfast was a pleasant surprise and included scrambled eggs, sausage, and biscuits and gravy and make-your-own waffles--a real plus for my husband who enjoys a hot meal in the morning. A very enjoyable stay! We are so glad you enjoyed your stay! We always try to have cookies in the evening for our guests, so next time you come through town we will have them waiting for you! Wonderful hotel staff, excellent hospitality, outstanding breakfast and the shuttle services were extremely convenient! The location is great and only a 5 minute shuttle ride to the max rail line to get downtown. Thank you Kendra! Hope you come stay with us the next time you are in town. I'll start by saying I'm a loyal Hilton family hotel guest. Lifetime Diamond Status. But rates in Portland have gone crazy unless your willing to drive way outside the city. So I popped onto hotels.com and found the Best Western Plus for about $80 a night cheaper so I figured I'd give it a shot. Glad I did. Hotel was updated and clean with a nice modern decor. Room was comfortable, bathroom was nice and larger than many hotels. Internet was fast. A/c worked good. Breakfast area was spacious and offered a pretty good variety. Staff was very pleasant every time I interacted with them. The only reason I did give them 5 stars were the kind of cheap pillows. I really hate foam pillows and wish hotels would invest in something a bit more like feather or down alternative for those of us who like firmer pillows. Other than that I would not hesitate to stay here again. 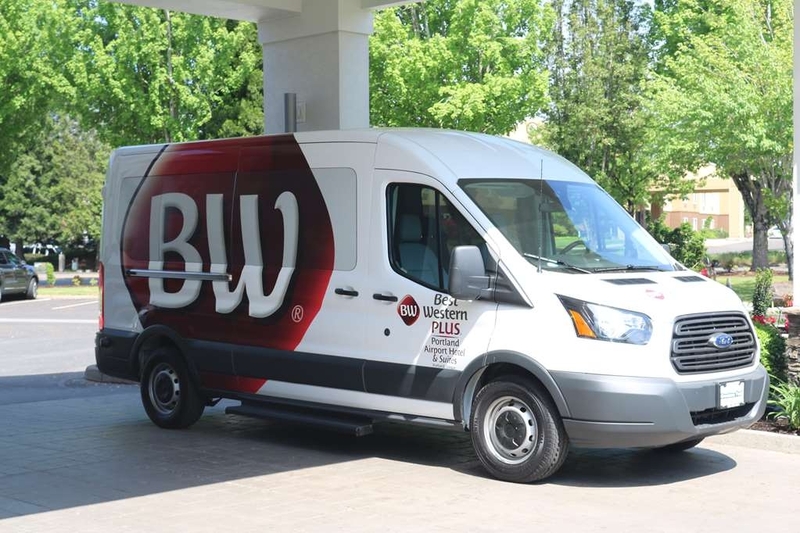 Watch out Hampton Inns, BW+ is stepping up their game. Thank you so much Patrick for the kind words, we all worked hard on the renovation and its great to hear positive feed back since its completion. I appreciate the comments about the pillows and will take your suggestions into consideration. Hope to see you again sometime. I booked this night for a leisurely trip to Portland and used my IHG points to pay for the room. The hotel was under construction in the lobby area. The service was very courteous. The room was clean and quiet. We had a fridge in our room, I really liked the bathroom counter area and shower. My only complaint was the fan automatically comes on with the light, and the light automatically came on when walking in. Which in the middle of the night I would have preferred this not to happen. The breakfast hot food was very mediocre, it's reheated eggs and meat that were not cooked there, except the cinnamon rolls. I wish I had just stuck to the cereal and other cold food choices. Overall I was happy with my choice, but I just prefer a place with a better hotel breakfast. Decent, but did not advise of renovations being done at the time of booking. 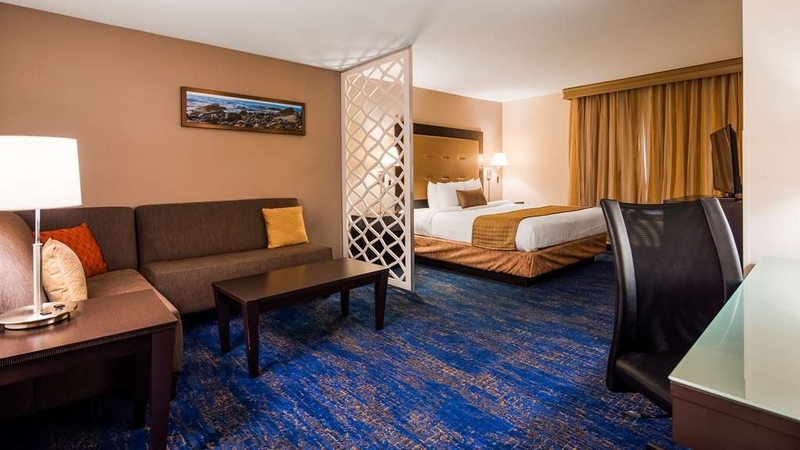 I love Holliday Inn Expresses because they offer a decent room at a decent price. Although it was not as expected, the management was excellent and took care of the issues at hand which is all that can be expected. "Remodeled but so so noisy"
We chose this property because it is located in the area or Portland that we were visiting. I had told a Portland area resident that we had reservations at this property and she hinted there might be better options in the area. 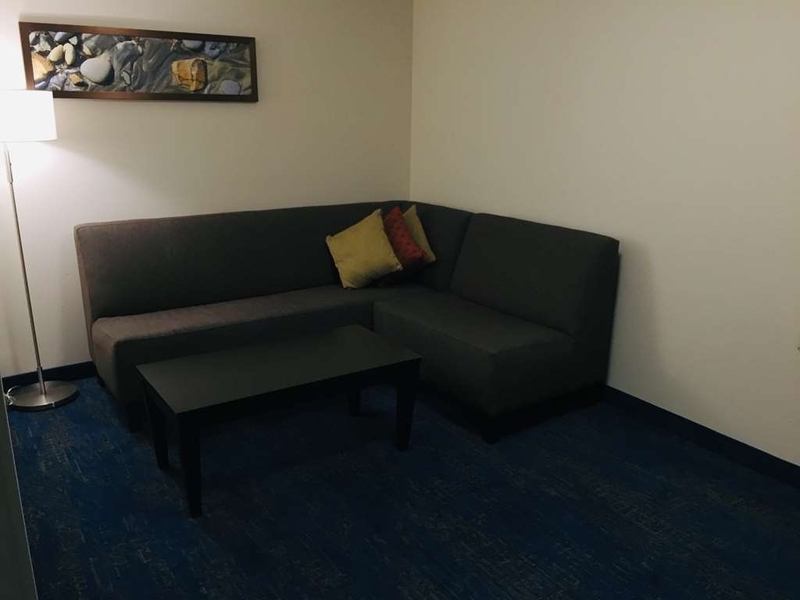 We decided to keep our booking and were pleasantly surprised to find that the property had recently been updated and remodeled. Rooms were very nice and even though there is still some work being done the property was in pretty nice shape. 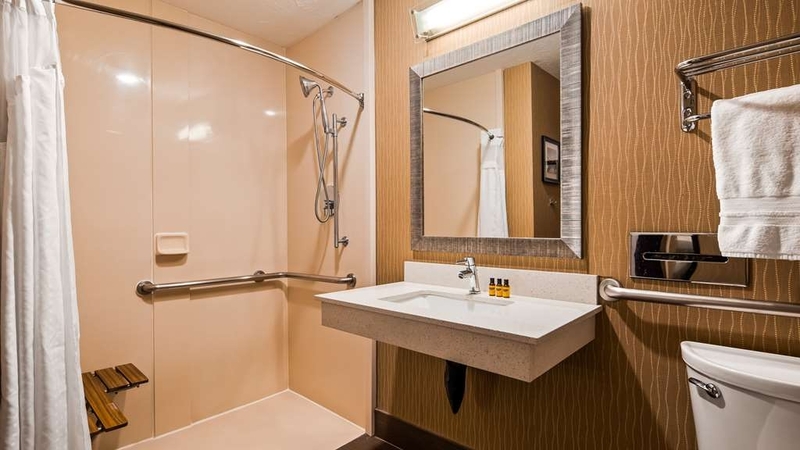 The only thing that was a real turnoff is that the bathroom exhaust fan is connected to the light switch so that whenever you turn on the bathroom light you get the loud fans as a bonus. I don't know about you but I find that constant noise a real distraction. The people we were traveling with who had the room across the hall from us commented that it sounding like they were standing on the runway of the Portland Airport when they turned on the bathroom. I complained to the manager and a maintenance man was sent in to disconnect the exhaust fan from the light switch. At least our 2nd day of the stay was quiet. Although this location is fairly far from the places I go when in Portland, it is very convenient to the airport and freeway system. Construction was occurring while we were there, but we did not suffer in any way from its effects. The room was very clean, the bathroom was too, and the beds are comfortable. The rewards program is one of the best I've ever used, so IHG has my loyalty. I'll be back.... Thank you! Thank you for taking the time to share your experience with us. I am pleased to see you enjoyed your stay with us and construction did not effect your stay. We appreciate you staying with us. We look forward to serving you again in the future. I could not find the hotel at first, as the signage off the road is very small and poor. It is close to I-205, and not far from I-84. A shuttle is offered to and from the airport, which came in handy for my flight to Honolulu. The property is under renovation so the insides are not pretty, however the noise is not bad and they do stop at night. I believe there is a spa, but it looked closed. There is no pool. I am not sure if I was in a renovated room or not, but it was clean. The TV selection is very limited, and you can at times hear planes overhead, but the airport is not far away. I did however sleep very well two of the three nights. There was a time change and my wake up call did not active until an hour later. Apparently, the system does not adjust to the end of DST. Luckily, it was the night I could not sleep and I was awake. Breakfast was typical and fine, as was the business center in the same area. The desk staff was very friendly and helpful for attractions in Downtown Portland. I did a Park and Fly, which is an extra $50 to leave your car for up to two weeks while you fly. My car was untouched after returning four days later. I have heard this program has been suspended while construction is ongoing, so check beforehand. I will say the prices are very high during renovations. The whole thing cost around $600 for three nights (two before the flight and one upon return in a different room). Part of it is the outrageous taxes charged by the various government agencies, including a special Portland tax for being in some sort of economic zone. These taxes are not the hotel's fault of course, but I would hope they would lower the rates some while construction is occurring. I can see how some guests would be upset. The weather was cold (40s) and rainy pretty much the entire time, so I didn't get to see as much as I wanted. The airport area is fine, however downtown areas have a huge homeless problem, making things unsettling. Only one person bothered me, but it is not a good look for the city. I have no plans to return in the near future, but if so, I may look in a suburb and hopefully save a few dollars in both rates and taxes. I've been here before, and it was worth coming back. The construction was not an issue, but we arrived late on a Saturday night, and left Sunday. The shuttle driver was superb, great guy! Breakfast was nice, I do like the cinnamon rolls most of all. The breakfast hostess seemed oblivious to us, but she worked hard keeping everything well stocked. It's a quiet place, the bed was most comfortable. The bathroom was a bit small, but everything in it was top notch. This is a great value with the IHG points-and-cash option, and because of that, I will indeed be back.